I'm still here. We are getting through the days, but this grieving stuff is HARD. We had a big ice/snowstorm here this weekend. Just when I was getting used to Spring. Lovely Kansas weather! Seeing those big, beautiful snowflakes falling and kids playing in the snow made me miss Cora even more. Cora never really experienced snow. She even had a new sled that Joel's parents had given to her for Christmas. She never got to use it. It was another "first" to go through without Cora. Sundays are hard too (I think I am still recovering). Joel is a farmer and works a lot. Sunday was our family day--the one day that we always got to be together. Joel loved spending Sundays with Cora. Going to church without her now is hard. It is hard to go to church and see all the families. It is hard to see all the little girls in their pretty dresses. It is hard to see kids coming out of the nursery. At the same time it is so good to be a church. It is good to be around people who love us and who are praying for us. It is good to sing--the worship songs have entirely new meanings to us now. It is good to be in the Word and learn from the sermons. Each week continues to have ups and downs. I don't think that is bad. We need time to be sad and cry. We need time to laugh and feel a glimpse of "normal" again. It is just hard and tiring. You never know what your emotions are going to do next. This emotional unsteadiness keeps reminding me that I have to cling to my ROCK. I am so thankful that no matter what an emotional mess I feel inside that I have a firm foundation in Christ. He fully understands my grief and emotions and is walking this road right beside me. Even when I don't feel secure, I know that with Jesus I can stand secure. I can keep moving forward. Even through this storm. This is what I continue to put my HOPE in. I just added twenty-nine new things to our store. ...and more coming next week! I've had several people ask me about the Cora's Playground necklaces that we were wearing on Cora's birthday. Here they are. 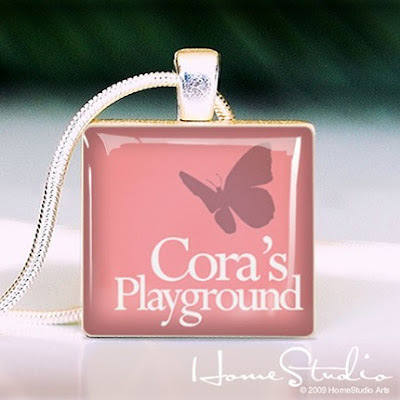 Thank you to Mark and Stef at HomeStudio for designing such a beautiful pendant in honor of Cora's life and the Cora's Playground Project. They are just beautiful! So, head on over to Etsy. Last I checked there were still some left. Thank you to all the Etsy sellers who are continuing to donate to Cora's Playground. I am amazed how kind and generous you all are. You have blessed us so much! Cora's Playground is in the works, but nothing has actually been started yet. I will keep you updated as things get started. My mom and I are still sewing. More Cora dresses and other things will be added to Cora's soon. I will let you know when that happens. We have about 30 dresses cut out. We just have to find time to sew now. We are not taking any special orders for Cora dresses at this point. Thanks for being patient. We will continue to put more in our shop as often as we can. So many people have offered to do kind things for us, wanted us to contact them, or just had questions they wanted us to answer. I do read all of your comments (both here and through our Etsy shop). You are so encouraging to us. I haven't gotten back to hardly anyone because it is just too overwhelming right now. Hopefully someday I will have time to get to know some of you through your blogs and answer questions. For right now I am doing good just to get something posted on our blog! Phew! I am glad that is over. We watched the news tonight and were so thankful for how Megan reported our story. We were a little nervous...you never know what to expect. They even let me talk about Jesus on TV! You can watch it here. I felt amazingly calm (for me) during the interview. I am so thankful that God gives us strength to get through things like this. Things that normally would make us so uncomfortable. I am praying that someone was watching the news tonight who needed to hear about Jesus and that HIS name would be glorified through our story. This week I have been asked to go WAY out of my comfort zone. Last week we had been contacted by the Newton Kansan (our local paper). They wanted to do a story about Cora's Playground and wanted to interview us. If you know me you will understand that this is totally outside my box. I am a pretty private person and would rather go unnoticed than be in the spotlight. I know you are laughing...there is no going back now! We agreed to do the interview and met with the reporter on Monday. She was very kind, but the interview was really hard for both Joel and me. Harder than we thought. She wanted to know all about Cora and I started crying the first time I opened my mouth. But, we made it through. We felt like it was an opportunity to share what God is doing in our lives. That's why we did it. The article was published in today's paper. You can read it here. I don't like having my picture on the front page of the paper AT ALL. But, it was awesome to read about Jesus in our local paper. Today when I got home (I had just read the article), my phone started ringing. I looked at our caller idea and it was Channel 12 News out of Wichita. I thought there was no way that it could be a reporter. But I was scared that it was and didn't answer the phone. As I listened to the message I couldn't believe that someone would want to do a story about our little Cora. They did! They wanted to interview us today and air the story on tonight's news. I just cried because I didn't know what to do. I just waited and thought. Twenty minutes later she called again. I knew I needed to answer the phone. She wanted to come to our house in two hours to talk to us. I told her I needed to talk to Joel and I would call her back. I am not a good decision maker. I don't like talking publicly, especially in front of a camera. Not to mention I didn't think I could get through an interview without crying again. But, I knew this was another opportunity to share the love of Jesus...with LOTS of people. I called Joel. I prayed that if we were supposed to do the interview that Joel would say we needed to do it. Of course he was hesitant, but he thought we needed to say yes. After all, it is not about us. We are here to glorify God. This might be our opportunity to do just that. We prayed that He would give us the words to say. A few hours after that phone call from the reporter, she was in our living room and we were telling her all about the Cora's Playground project. This is for all the locals. Our story will be on the 9 o'clock news (on Fox) and the 10 o'clock (Channel 12) news after the basketball games. We are praying that God would be glorified through this story! I haven't blogged this past week because this is how I feel..."weary with sorrow". Wondering how long I will feel like my heart is crushed. Wondering if life will ever feel "normal" again. Wondering why God allows us to go through such painful things. Just sad. You might remember me mentioning a boy named Tony. He lost his fight with cancer just a few days before Cora did while we were in PICU. On Friday I got a call with the news that Tony's dad had been killed in a farming accident. Joel and I feel such heartache for this family. We can't even imagine dealing with the loss of another loved one on top of losing Cora. Please pray for Tony's mom, Olivia, and his four siblings who are facing such hard days. I was thinking back to our days in the hospital. I remember writing on our blog that God's Word had been so alive and relevant to what we were facing during those horrible days. It was. That is still so true today. God's Word is the only thing that is getting me through these days. People's kind words and time with dear friends and family helps so much, but it can't sustain me. My relationship with Christ and the HOPE that I have in Him--that is what is getting me through these hard, lonely days. I long to read the Word each day because it comforts me in a way that only HE can. I am so thankful that I serve a God who is so close to me and my family on this journey. Joel and I went to a small Christian high school here in Kansas. Joel grew up here. I moved here when I was a sophomore. We were high school sweethearts. This school has loved us so well through Cora's time in the hospital and after she went to be with Jesus. Even the basketball teams have found a way to show their love. Ivy (Joel's sister) is a senior at Berean. Owen (my brother) also goes to school there and is a junior. They are both on the varsity basketball teams. After Cora went to be with Jesus they all started wearing pink shoelaces in their basketball shoes. They are still wearing them. Even the boys! It makes me smile to see all those pink shoelaces just for our sweet Cora. Both teams just won sub-state and are heading to state this week. I sent my friend Laura after the boys to try to grab a picture after the game. They all got their shoes in and then decided they wanted the trophy in the picture too. They said that this win was for Cora! That will make you teary eyed. Thank you for remembering our little angel. Thank you for showing so much love and support to our families! All eighty-eight packages are mailed. It felt so good to have that done. If you ordered from our shop you should be getting your Cora package soon. Yeah! Our little small town post office had a booming business today thanks to all of your orders. I just added some new things to our store. Not much, but a little to tide you over until we get back to work. We are stocked up with beautiful fabrics just waiting to be turned into Cora dresses. We hope to add more dresses to our store soon. Keep checking back with us. Thanks for being patient! We made it through Cora's birthday. The weather was just beautiful. We celebrated Cora's precious life, but our hearts ached to have her there with us. It was so amazing to picture the many pink balloons that floated towards heaven that morning. Even Joel's brother in China sent up a pink balloon. Thank you for remembering our sweet Cora and for lifting us up in prayer on Thursday. The mama in me just had to do something for Cora's birthday. We were too sad to have a party, but I just had to do something birthday-ish for my little girl. I thought we at least needed some cupcakes. I even tried out Megan's homemade icing. It was yummy! I thought Cora would like pink and green sprinkles on her cupcake. My sister thought she needed some stars too. These ladies helped me decorate. I am so blessed to be surrounded by such an amazing family. Did you notice our flower pins? We wore them all day in honor of Cora. Thanks Julie and Beki! I just cried as we ate our cupcakes. We were supposed to be watching Cora in her highchair eating her first cupcake and making a huge mess. We were supposed to be laughing and sharing in the joy of my sweet little girl's first birthday. Cora never even got to taste cake. But my mom reminded me that there were so many things Cora DID get to do. She and my dad even made a list of all the "firsts" Cora had with us. All the things we did together. We have so many precious, joyful memories. That is what I have to remember. Not what we didn't get to do with Cora, but all the things we DID get to do together. I would do anything to spend more time with my baby, but I am so thankful for the eleven months she was here. I am so thankful that God chose me to be here mama for those eleven months. Happy Birthday sweet Cora! Oh how we wish she was here so that we could celebrate her big FIRST birthday together. Tomorrow is going to be a hard day. We never dreamed that we would be "celebrating" Cora's first birthday without her here with us. When I taught kindergarten there was a song that we always sang on birthdays. I loved it. I always wanted to sing it to Cora on her birthday. And they danced, they danced. We know that Cora is going to have the best party EVER in heaven tomorrow. We just wish we could see her and eat cake together. We miss her so much! 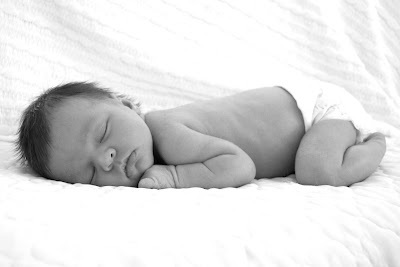 Cora was born at 10:03 in the morning on March 5th. We are planning on visiting her grave around this time tomorrow morning with our families. We are going to release pink balloons to celebrate the precious life of our sweet angel. Please pray that God would give us strength to get through tomorrow. Our Etsy shop is stocked again. This time there is something for the boys. We didn't want the boys to feel left out. We will try to post a few more things tomorrow. We named our boys t-shirt "the tripp tee" after my sweet little nephew Tripp. This is Cora's youngest cousin and the only grandson on my side of the family. What a cutie-pie. So many people are asking how we are doing. Honestly, we often want to answer "horrible". The ache we feel as we grieve the loss of our little girl and how much we miss her is something I can't even describe. Really, we are doing OK (which is what we usually tell people). We are taking things day by day. We couldn't make it through this in our own strength. It is the HOPE that we have in Jesus that is getting us through each day. For that we are so thankful. We are officially home now. We had been staying with my parents since we got back from Colorado. It was too hard to go home. Our house is SO quiet without Cora. This weekend we felt like it was time to go home though. It has been good to be in our own house. We haven't slept in our own bed for over a month! But it has been hard too. We miss Cora and it doesn't feel "right" to be here without her. The evenings are the worst for me. Thankfully this is when Joel is home. Can I just say that my husband is wonderful?! I can't imagine going through this without him. He has been a rock when I need him to be, but also so willing to talk and cry with me. Joel is amazing, but he desperately misses his little girl too. Pray for strength for him as he continues to work and figure out how to lead our family through this hard path we are on. what can good people do?" the LORD sits on his throne in heaven. I read this verse this morning and found myself having this same question that David did. What do I do when I feel like my world is falling apart? What do I do without Cora? I know that God is good. I know that He is in his holy temple. I know that He is sitting on His throne in heaven. And I know that my sweet Cora is in His loving arms. But my heart still aches. Joel and I have decided that all we can do is cling to His truth. Even though we don't understand and it doesn't make sense. God is unaltered by our storms. He can use our tragedies to bring glory to His name. We have been so blessed to already see evidence of how God is using Cora's story to draw people to Himself. How awesome! So, that is a glimpse into our lives right now. We are so thankful that people are continuing to pray for us. We are so thankful for our friends and family and how our community is surrounding us with such love. We are thankful for the encouragement from all our new blog friends. Now I am off to my mom's house to continue crafting. There are many dresses that are about ready to be listed in our shop. We are hoping to fill up our shop tonight or tomorrow. Keep checking back!